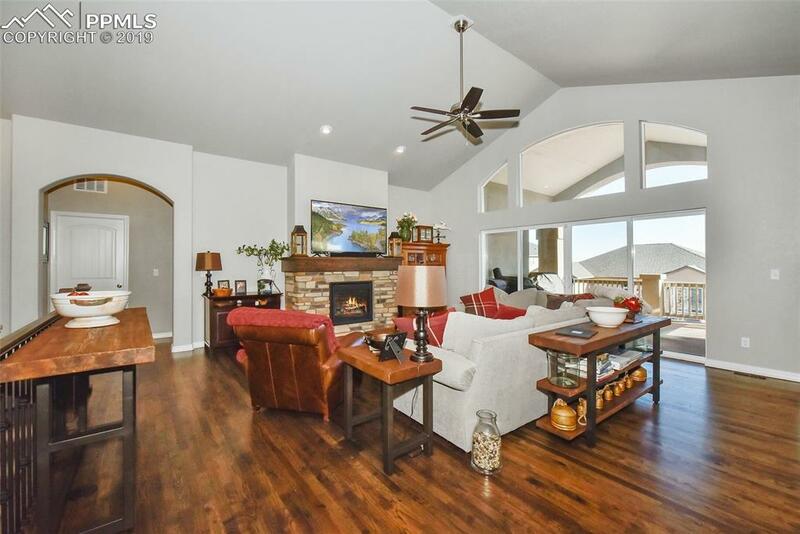 Stunning main level living ranch style home in the amazing community of Wolf Ranch. This Ashton model Classic home is sure to please. 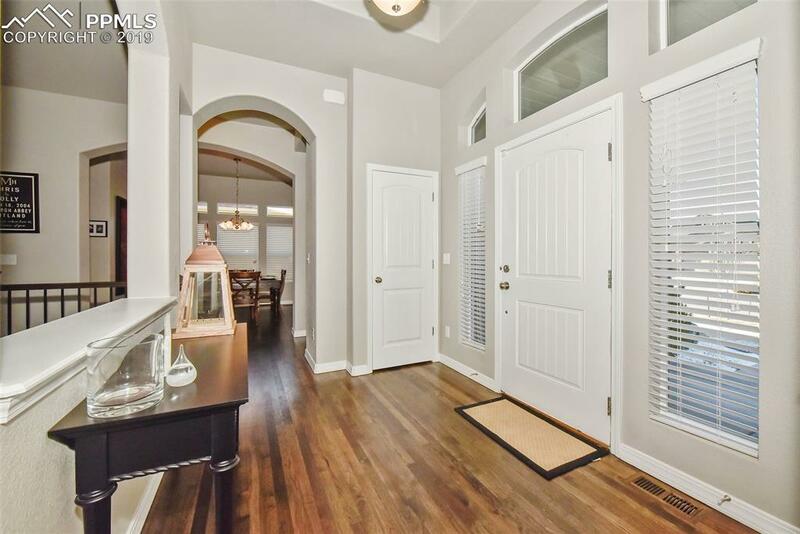 Inviting foyer opens to the spacious great room. You will love the brazil nut stained hickory flooring throughout the main level area. Of course, the bedrooms have upgraded carpet to keep you nice and warm. 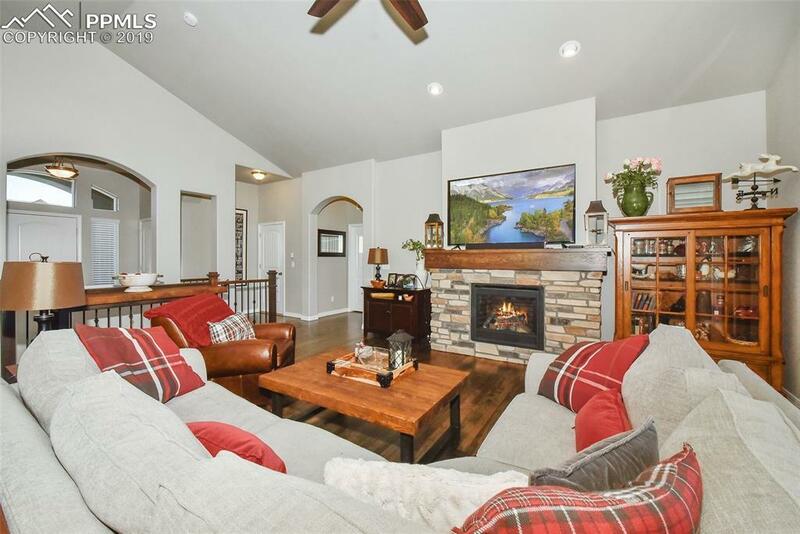 The focal point of this room is the stone fireplace with wood hearth. The stellar gray quartz island is the perfect place to gather any time. This gourmet kitchen has so many upgrades to include the linear mosaic tile back splash and undermount stainless sink. The gas cook top is vented to the outside and has undercabinet lighting for ease of cooking. The eat in nook is great for meals on the go and the formal dining area is perfect for entertaining. Walk out to the 14x15 composite deck with amazing views of Pikes Peak. Gas grilling is easy with the gas line to deck. The master suite is divine and opens to a dreamy 5 piece bath with ceramic tile flooring and a door for privacy. The roomy walk in closet is perfectly sized. The main level guest bedroom has an adjacent full bath. The stairway to the well designed garden level basement has flat black iron balusters. Enjoy upgraded carpet and pad as well as 9 foot ceilings throughout the basement level. It is prewired for a home theater. That, and the wet bar make this a great place to entertain. Two spacious bedrooms share a jack and jill bathroom. The fifth bedroom, full bathroom, and storage room round out the basement floor plan. The professionally landscaped, fenced yard has amazing views of Pikes Peak. 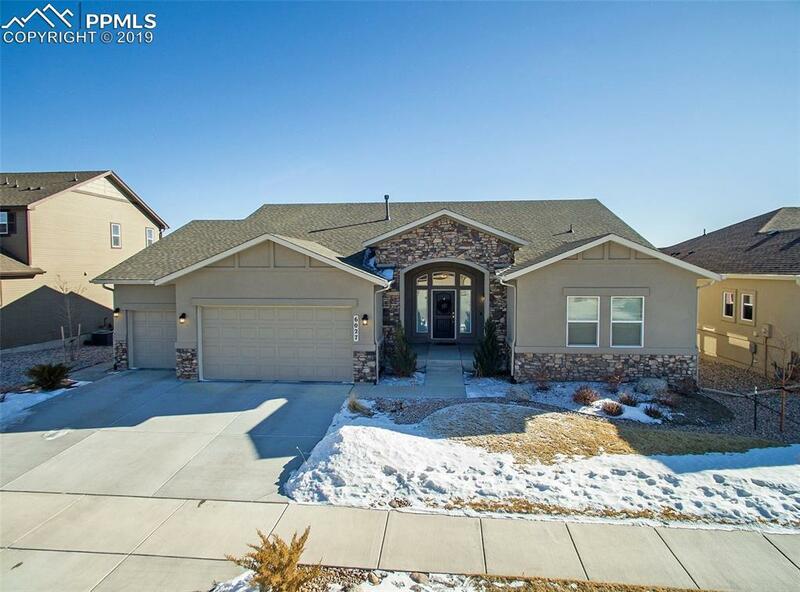 This home is convenient to Powers, I25, shopping and entertainment. Why wait 6 months when you can have your dream home now. Listing provided courtesy of Century 21 Curbow Realty.